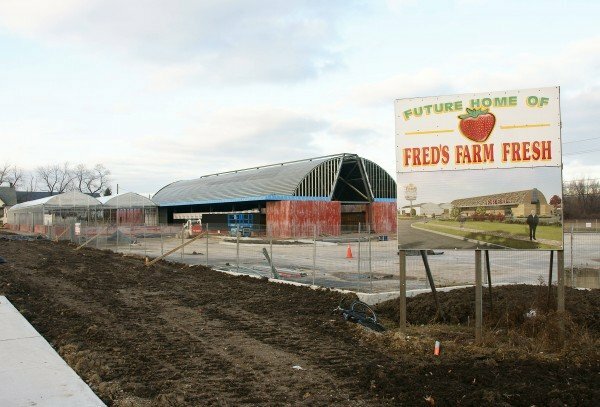 Fred’s Farm Fresh, a local fruit, vegetable stand and deli which closed last year and was demolished over the summer, is in the process of building a new location at 2144 Huron Church Road. Designed by Studio g+G Architects (the same firm designing the new Assumption Church project), the new $1.75 million dollar Fred’s will be larger than the original, but will be designed to retain the same small-business charm. The new location will feature a bakery, salad bar, prepared cold foods and ready-to-go meals. Fred’s Farm Fresh is expected to be open in Spring 2012. Find them on Facebook, here.